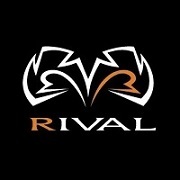 The Rival RS11V Evolution Sparring Gloves have an innovative dual angle “V” strap Wrist-lock 2, using Rival’s trademark 15° angle cuff; with embroidered graphic strap, these gloves have an extra secure fit. 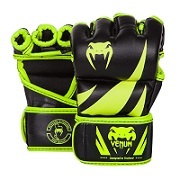 The glove has a narrow fit like a fight glove allowing for you to spar safely with a glove similar to what is worn come fight time. A 3D mesh palm gives added ventilation. 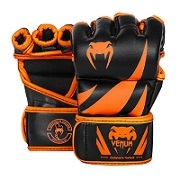 The extra thick 50 mm layered foam padding is specifically designed for intense sparring use, whilst keeping the wearers hand and sparring partner protected. Extra thick 50 mm layered foam. 3D mesh palm and lining to cool.